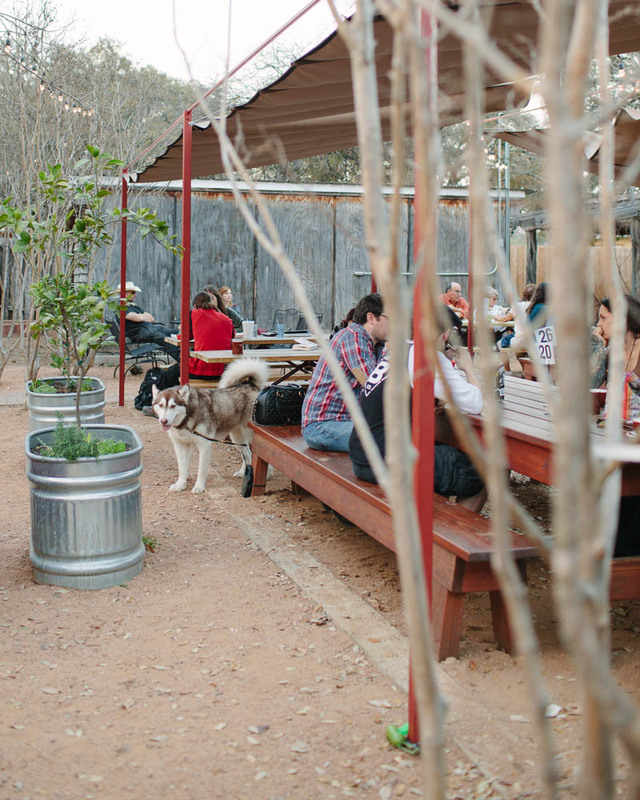 Places to Eat in Austin, Texas ↠ Radio Coffee and Beer. 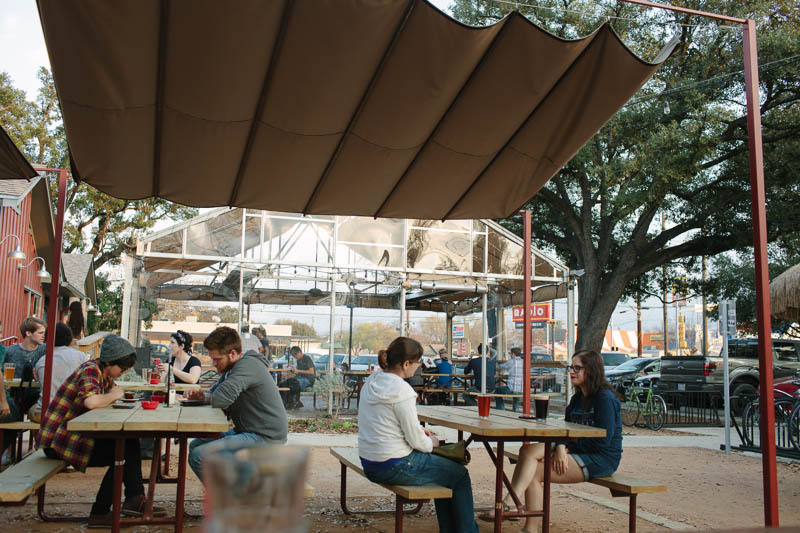 I was introduced to Radio Coffee and Beer here in Austin, Texas by my friend Catelyn who co-owns the online shop The Distillery (which is full of lovely vintage and handmade finds). We met up for coffee/lunch and I was immediately hooked. How could you not love a place that sells coffee and beer with a taco truck parked right outside? Impossible. When Dave and I were out roaming the city enjoying a gorgeous day a few Saturdays ago (before the cold and rain hit), I suggested we go to Radio for dinner...since we had the dog with us and we wanted to enjoy the nice day. We had a great time hanging out, chatting with a few people around us (mostly people wanting to know about Atka- she makes us friends everywhere we go), and, of course, devouring our tacos. We were starrrrving when we got there and it was a long wait for our food since it was a 70 degree Saturday and everyone was out...but so worth it. Radio's inside area is nice and quiet during the week, a great place to write/work. They have delicious Stumptown Coffee and this is the first time I've ever gotten a coffee somewhere that made it all pretty with some latte art...happy day. They also have a good beer selection with a lot of local and microbrew beers to choose from. There's pretty much something for everyone here at Radio Coffee and Beer. I can see this being one of my all-time favorite spots in Austin. It's definitely a place I'll take friends and family when they come to visit. I loved staying all evening and watching the whole place light up under the lights strung above and spending the evening with Dave and Atka both. For more places to visit in Austin, go here.